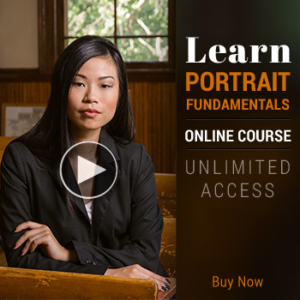 I would like to pass on my sincere compliments in appreciation of your fantastic Portrait Lighting on Location course. I found it remarkable in its’ clarification of what are sometimes confusing concepts of photography and your logical and detailed explanations were a treat. It covered everything I needed to know and more. As mentioned the sequencing was logical and explanations were great but even better were the course notes and checklists ensuring that correct reinforcement of processes could be made. Correct reinforcement is an essential part of learning any new process and is often overlooked by others. Thanks again for your wonderful enlightening course. I consider it worth every penny and more!